How Long After Your Cat Dies Should You Wait Before Getting a New Cat? If you lost a beloved cat, it can be tough to tell when — and even if – you’re ready to adopt a new cat. Let's look at the process of pet grief and more. Losing a cat is devastating for a household’s humans and other pets. 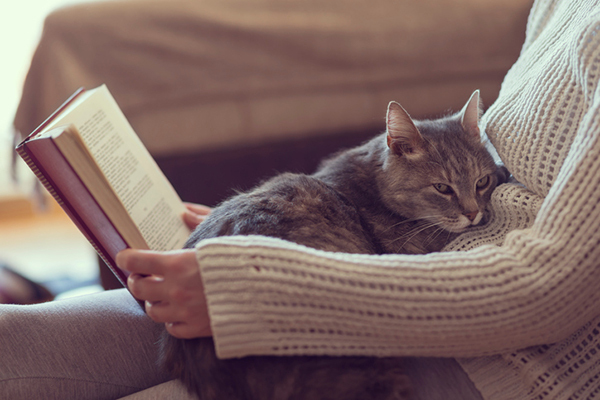 While no cat can replace another beloved cat — each pet, like each person, is unique — hopefully, you will open your heart and home to a new cat at some point. But how long after your cat dies should you get a new cat, and what can you do to make a successful match? Experts in pet grief offer many pointers, though all emphasize that grieving a pet is an individual process full of gray areas and subjective feelings. “There’s probably not necessarily a right or wrong answer,” says Eric Richman, a licensed independent clinical social worker with the Tufts University Cummings School of Veterinary Medicine hotline for people grieving a pet. Trained veterinary students staff the hotline, which offers free phone support. Should your new cat look like the cat you lost? Should your new cat look like the cat you lost? Photography by Mahlebashieva/Thinkstock. 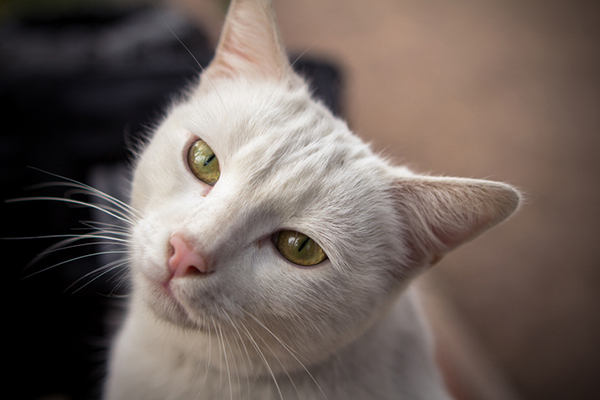 If you lost, say, a white cat, you might fall in love with another white kitty, feeling like this lookalike feline is closely connected to your deceased kitty. Other people do what football teams do for legendary players: They retire the jersey, and never again want to get a cat that looks just like the one who passed on. Their Fluffy remains their one-and-only Siamese cat, for instance, and any future cat will be a different breed or color. Sometimes, getting a cat that resembles your late cat works out well, Richman says. But he cautions people about the potential emotional pitfalls — this new cat is an individual with his own personality, and not a reincarnation of your old cat. Two cats may look almost identical, but one may be cuddly and the other more playful — and a new cat doesn’t have the same memories and history. It’s a whole new relationship. Ask yourself — have you grieved and are you truly ready for a new cat? Richman recommends considering how raw you still feel, and whether you have the emotional strength and energy to put into a new human-animal bond. If you don’t, it wouldn’t be fair to a new cat. Karen Litzinger, a Pittsburgh-based licensed professional counselor who has training from The Association for Pet Loss and Bereavement, says the decision to get a new cat is an intuitive one. Litzinger recommends allowing at least a month for grieving, in most cases. And if you have other cats, they, too, will be grieving. Both the humans and surviving animals can each support and nurture each other, Litzinger explains. What if you don’t think you can go through the heartache again? Have a feeling you’ll never be ready to adopt a new cat? That’s okay, too. Photography by CAHKT/Thinkstock. Sometimes, people say absolutist things out of grief. For example, many say they will never have another cat at first. But be careful about declaring that, and thinking you must stick to it, Richman says. People may want to protect themselves from feeling this kind of pain again and experiencing the loss of another cat when the time comes. But Richland and Litzinger encourage people to keep an open mind and heart. 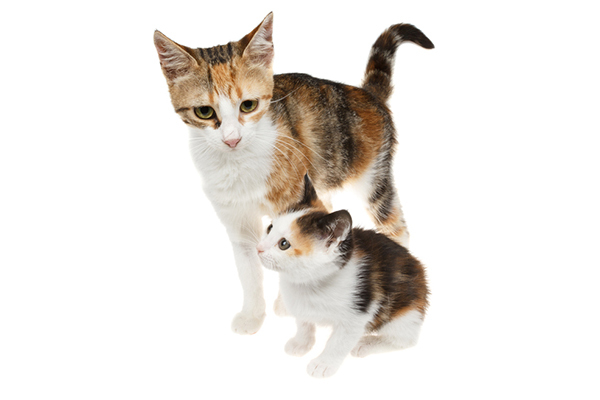 If you really feel like you are not ready to adopt a new cat, a good alternative is to volunteer as a foster parent for a shelter or rescue. That way, you’re still connecting with animals and helping them, Richland says. And when the time is right, you may come to a point where you are ready to give one of your foster kitties a forever home. Sometimes, a homeless cat will show up on someone’s doorstep, or otherwise cross paths with a grieving person. And ready or not, consider that a blessing and a sign, Litzinger says. I lost my Charlie in March of 2017 to autoimmune disease. It is now two years on and I don’t think I will ever have another cat again. I still cry when I think of him and sometimes can’t stand even seeing other cats. I have gone through periods where I took down every cat picture in the house because I just couldn’t handle it. I am seeing a therapist but nothing seems to help. My therapist is pretty much convinced that getting another cat will help me heal. I don’t agree. I don’t think I am functional enough to care for a cat anymore, and I could never bond with another cat. I would either resent it for not being Charlie or I’d just be waiting for it to die. I have felt miserable about Charlie for almost half as long as I actually owned him. Why would I want to put myself through that again? Charlie was the best friend I ever had. No other cat could hope to compare to him. Fostering isn’t really an option either since, as mentioned, I am not capable of caring for an animal. I will have to learn to be content without a cat and my therapist is not interested in helping me with that, only pushing me into getting one I don’t want. Is she wrong to pressure me or am I being a jerk? My cat max was killed a little over a month ago by a hawk. He was 5 years old and I had him since he was 6 weeks. He was my best friend, my emotional support, my baby boy. I love him more than I love a lot of people in my life and I just feel broken since he died. I think about him all the time and I feel so much guilt. He was an outdoor cat for 5 years but in the last 5 month before his death I had moved out of my parents and into an apartment where he became indoor. He wasn’t very happy, he started attacking me at night and getting all weird sometimes and meowing all the time and I would get so frustrated and yell at him and shut him out of my room when he would wake me up in the middle of the night. Redgrless of all that I still loved him more than anything and felt so terrible that he was so lonely and unhappy indoors so when I went to visit family over the holidays I decided that time was a good transition to give him back to my moms and let him be outdoors again. It sucked but I thought I was doing a good thing. I worried about him being outside again but everyone kept telling me he would be fine. I saw him twice while visiting my moms house in the week after I got home from vacation and then third time I got to my moms and she told me that morning the neighbor had called her and said that he had found max in his backyard being eaten by a hawk. There wasn’t even enough left of him to cremate. This whole situation is my nightmare and I still cry all the time. I don’t know what to do because I feel this guilt and sadness all the time. He was the best thing to ever come into my life and I let him down. If I had just taken him home after my trip he would still be here. I had been getting so frustrated with him when he was at my apartment and now I would give anything to have him doing all the things that were annoying me, ANYTHING. I feel awful. That’s so sad. We’ve just lost our cat of 11 years and it’s so unfair. Would do anything same as you to have him back but you can’t turn the clock back. I think you need to come to terms with accepting that your cat is gone. You will never be able to replace what you have lost but you can give a new cat a loving home. They don’t get to choose who their owners are but it’s the best thing in the world to know you gave your cat a wonderful life no matter how long or short it is. If this kitten has already had a bad start to life or indeed any other cat then how good would it be to give them love and affection and happiness. I lost my Meeka on the 15/12/18, she had a sudden decline in health and was suffering. I have an emptiness in my chest and I feel her loss daily. I vowed to never get another cat, saying I couldn’t deal with the pain of saying goodbye to another cat, but my life feels empty without a cat. I’ve always had a cat in my life, I’m currently 24 and have grown up with cats, but Meeka was my cat, the bond I shared with her was unlike any other. I don’t want to betray her by getting another cat, but the hole in my life is sometimes consuming. Meeka wasn’t just a cat, she was my best friend, a part of myself. She kept me going when all I wanted to do was give up. I’m lost without her. I know another cat will not replace her, no cat could, she was unique. I guess I’m conflicted on what I should do, I know I’m not done grieving her loss, but in the future do you think it would be possible to have another kitty in my life? Would it be a betrayal? I just lost my precious girl named Brittany on Saturday morning (1/26/19) due to a rapid decline in health as well. I am also hoping to find this answer, and someday open my heart to another kitty as I couldn’t have expressed how I am feeling better than how you just said it, but I just wanted to tell you just how sorry I really am. Oh my god this is like I wrote it. It’s how I’m feeling to a T. It hurts so bad I can’t breath sometimes. Nothing will replace my Bella but something has to fill this gaping hole. Good luck! I meant your rather, missed a keystroke. I lost my Binx a couple days ago, and I’ll always cherish him for the 6 out of 8 years I had him. However, I feel an emptiness in my heart without a cat by my side. One that I can call my own. I know it’s soon, but I also know that no cat can be a Binx, I’ve been thinking of adopting a cat from a family friend. He’s different from Binx, so I feel like I won’t be reminded of my orange fur ball. I know I feel like I have the right mindset going in to having another cat, but I also still feel like grieving. I’m stuck between a rock and a hard place at the moment, and I just need some advice. Again, I know I’ll never have a cat like Binx. So this is going to be a different cat and a different experience with him. Trisha, we are exactly where you were. We lost our girl a little over a week ago. The emptiness in our home is almost overwhelming. The absence of all the rituals we shared sadden us everyday. Nothing will ever make us stop missing her, but we know we need/want another cat in our lives. We are struggling with feelings of disloyalty even considering it and worrying about being unfair to a new cat when we are still so broken. I lost my beloved Sandy to rena!l and cancer almost 3yrs ago and miss him so much, I have a ragdoll who misses him also and howls the house down in the early he’s looking for him. I don’t know how to help her because I’m all still grieving, I did foster a moggy but they didn’t get on so he had to be returned. I would love to get another older cat because we are in our 70’s and a kitten would be wrong for us at our age. My Leelee is 16 so I don’t know how much longer I have with her and I couldn’t live in our flat without the patter of velvet paws. I know it will be difficult to adopt a cat because of living in a high rise from cats protection or similarbut Sandy and Leelee have lived here very happily for 16yrs. Do you think having another cat would help Leelee with her grieving? I’m looking into cats up for adoption at the moment. I was just about to make the call but then felt overwhelmed with emotion. The idea of having someone that isn’t my old girl breaks my heart. Sitting here crying I thought I would look this up. I feel like I am never going to truly heal from this as she was my soul mate and I loved her with everything in my heart, and it devastates me because I want to help and home an unloved cat. I know a few people who never adopted another cat because they were so heartbroken, and I so badly don’t want to be that, but the pain seers and feels like it will never not feel raw. You put my feelings into words. It’s been over a year since I lost mine, and my husband surprised me with a new cat for my birthday today. I know it’s the first day with this sweet new cat, but I can’t explain these mixed feelings I have… There is an intensity added to my grief, and I can’t help but cry and miss my old lady even more. I’m going to give it time to sink in and see if I can work through this. For the sake of giving this new cat a good and loving life. I just lost my sweet girl to congestive heart failure. We lost our other cat earlier this year to kidney disease. Our dog is so old that we know she will not be with us much longer either (she is 14 and a lab). I hate the thought of an empty house. My heart is broken into pieces over our most recent loss. She was more mine and had bonded almost exclusively with me. My husband is very much in favor of adopting a kitten sooner rather than later because he thinks it will help me heal to have a new sweet kitty to love. I found a kitten on facebook and the owner is holding her for me for a few weeks or until I feel like I am ready. Part of me wants to get her now so that I have a new kitty to love but the other part of me feels it would be disrespectful to the close bond I had with my girl. I don’t think I will ever love another cat they way I loved the one I lost but that doesn’t mean that I can’t love another cat in a different way. I just don’t know and I can’t stop crying. My cat died yesterday from being hit by a car. He was 2 days away from turning 2 years old. My family are still considering getting another cat or maybe a dog. my cat died 2 weeks ago from being hit by a car, we had her for 12 years and my mum has just bought a new one without asking about how i feel, after spending the day with her it just doesn’t feel right and it makes me feels more upset about our past cat. But apparently she is here to stay and thats it so is there anything i can do to enjoy the experience more and stop feeling upset about my other cat. My beautiful boy Charlie was killed by a car yesterday. He was only 12 months old. He was such a gentle, loving soul. His sister is lost without him, they were together since birth. She’s not as sociable with people as he was. I miss him so much. We had to put down my sweet girl Lucy yesterday- who was 14 months – because she got into the trash and ate some string. There was no saving her, and her brother is the same way. They have never been separated and he seems so lonely – I am so heartbroken. I know exactly how you feel. I lost my lovely Marny to mouth and throat cancer only two weeks ago and the vet has said she was definitely suffering so my partner and I decided together not to prolong her agony. Now, two weeks later, I am looking for another cat which may be considered disrespectful to Marny, but I don’t intend to get the same kind of cat. I have seen one I like but worry it’s too soon.? Sorry for your loss. You will always remember Marny. A wise woman once told me that upon the loss of our pet who blessed our life, it is now our time to rescue and bless another life. There are many cats, young and old who would benefit from your love and care. Perhaps even adopt a pair! I lost my Roxie in August of 2017 at 18 years old. She had advanced kidney disease. I have thought that over the last few weeks that I am ready. However when I go to adopt or get on a list to adopt, I immediately start feeling guilty. Is this normal or am I just not ready yet? Any advice is much appreciated. Thank you. Hi Terri, I know this post was from May so you might have decided already, but there is no set time frame. If you don’t think you’re ready, perhaps try fostering a cat? I think your not ready Yet. Because even if it’s just guilt you need to wait until you would not feel guilty, because guilt can become a major problem in the relationship after you bring in the new Cat. I don’t feel the time to get a new cat will present itself as perfect, but better to start as goodly as can be possible. Also, when the time is right it will present itself, then it will also be absent of guilt because your heart is truly ready to give another Cat a home it is looking for and I’m sure your deceased cat will say: “Well done Mommy, providing love and home for one of my distant siblings”. I lost my kitty Trixie that I raised from a kitten to the age of 21. It took me 6 weeks to work up the nerve to go to the shelter. I check all of the kittens but couldn’t find another Trixie. So I adopted Phoebe who 15 months old. Everyone is different, so the right time is different for all. For me, I believe in reincarnation, so my grieving period is much quicker than most, because I eagerly await the return of my beloveds in their new life form. With my Willow, I was ready in 5 months and my new baby was born a few weeks later. After my boy Navar died, I was planning for his return as soon as possible and he was reborn within 5 months. What a beautiful, thoughtful article. And you are so right…there is no one, “right” time. A dear friend lost her furry soulmate last year and, despite her deep grief, ended up with another kitten who very closely resembled that cat only three weeks later. The kitten was very different in personality than her beloved Kitten, but I think she help save my friend’s sanity. For others, that would seem way, WAY too soon. I sometimes think that loving an animal is a lesson in losing, grieving, and finding the strength to love again, even knowing that we will lose again. It opens our hearts and enlarges our souls in ways that nothing else can. Thank you, Ms. Gormly, for a straightforward, well written article about a topic no one wants to speak about, but we all suffer from at least once. The author hit the nail on the head. We can NEVER, EVER replace our lost kitty…he or she was a unique, special personality that we will carry in our hearts forever. That can never be replaced and I wouldn’t want it to. However, I feel that after an appropriate grieving period (which is very personal…I’ve found that it’s about a month for me…YMMV) the best way we can honor the memory of our fallen is to open our hearts and homes to another kitty…not as a replacement, but to give the gift of our love to another cat who is scared, alone, desperately hoping for someone to take them back to their new forever home, and open their hearts to. They will never replace our lost pets, but we can give them an opportunity for a new life and an opportunity to build the same kind of bond that we have with the souls we lost.